When I was training myself in Mumbai, India, I still remembered the legend charisma Yogi, B.K.S Iyengar dead on 20th August, 2014. The news was spread all over India, one of the great Yogis was gone from this earth, every yoga instructors around the world had mourned that we lost one of great Guruji. He published so many Yoga books in his life, many of Yogis and Yoginis was following his self-discipline and Yoga methods, techniques. If you have a look his tough Yoga asanas, when he was young and demonstrated his yoga performance, you will be amazed and surprised. Today we have many charisma Yoga instructors in India now, PM Narendra Modi has started as International Yoga day on 21st June, 2015. Because of many Indian Charisma Guruji contributed their skills and knowledges, general people acknowledge what pure yogic life should be away from the busy working life in this capitalism. I haven’t met B.K.S Iyengar in my life, when we visited Yoga ashram in Pune, he was too old to talk and the guide didn’t let us to see him. 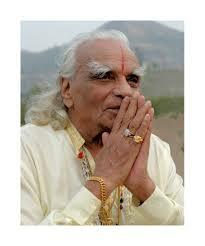 His great yoga achievement will be remained from the past to the future in yogic spirits as everlasting Guruji.